Marcus Farnsworth was awarded first prize in the 2009 Wigmore Hall International Song Competition and the Song Prize at the 2011 Kathleen Ferrier Competition and has appeared in recital at the Concertgebouw, Amsterdam, La Monnaie, Brussels with Julius Drake; on a UK tour of Schubert Winterreise with James Baillieu; for Leeds Lieder with Graham Johnson and at Opéra de Lille with Simon Lepper. 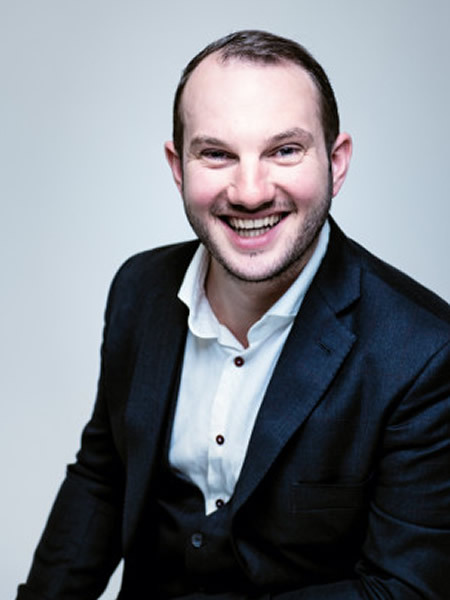 He has appeared many times at the Wigmore Hall with Malcolm Martineau, Julius Drake and Graham Johnson, the Myrthen Ensemble and Joseph Middleton and with the Carducci Quartet. Highlights of the 2016/17 season and beyond, he will sing and record Vaughan Williams Sea Symphony conducted by Martyn Brabbins and also Hubbard in Doctor Atomic conducted by John Adams, both with the BBC Symphony Orchestra. Other concerts include Ned Keene Peter Grimes at the Bergen Festival and Edinburgh International Festival with Edward Gardner, as well return invitations for recitals at the Wigmore Hall, London with James Baillieu and Amsterdam Concertgebouw with Joseph Middleton. He has also sung Britten War Requiem, Elgar The Apostles, Carmina Burana; Berlioz L’enfance du Christ, Brahms and Faure Requiems with orchestras including Adelaide Symphony, Royal Scottish National, Royal Liverpool Philharmonic Orchestras; RTÉ National Symphony Orchestra, Dublin; BBC Symphony, Philharmonic and Scottish Symphony Orchestras conducted by François-Xavier Roth, Paul McCreesh, Claus Peter Flor; Bernard Labadie and Edward Gardner. A strong supporter of contemporary composers, Marcus has sung many works by John Taverner, Sally Beamish, Thomas Larcher, Peter Maxwell Davies and David Sawer with orchestras including the London Symphony Orchestra, BBC SO and Aurora Ensemble and conductors Gianandrea Noseda and Nicolas Collon. For the 2017 BBC Proms, he will perform Maxwell Davies Eight Songs for a Mad King with the Birmingham Contemporary Music Group, conducted by Sian Edwards. 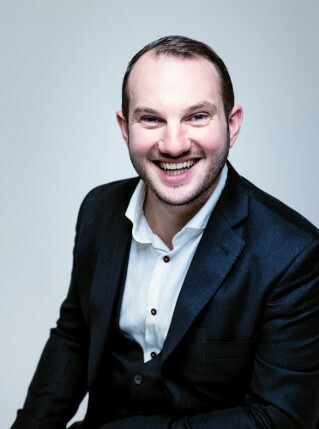 Marcus has also sung Bach St John Passion (bass arias) with the Ulster Orchestra; Bach St Matthew and St John Passions (bass arias and Christus) with the Gabrieli Consort and Paul McCreesh and Monteverdi Vespers on tour with Emmanuelle Haïm.